EnChroma® Colour Vision Enhancing Eyewear Now Available! Your partners for optimum eye health. We are pleased to now offer online appointment booking! "I have been going to this office for 45 years. They have taken excellent care of myself and my family." ~ Lorraine L.
Maple Ridge Eye Care offers our patients online contact lens ordering. Complete and order when convenient for you. 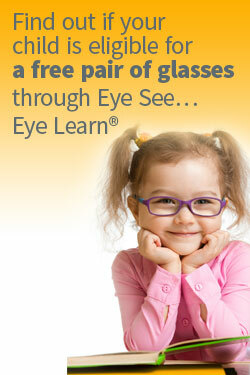 Your Optometrist in Maple Ridge, BC. Call us at 604-670-4434 today. We're accepting new patients. At Maple Ridge Eye Care, we have provided our patients and their families with excellent eye health care and quality eyewear for over 60 years. Our focus hasn’t changed over time: it is still on you, our patient. Whether you are being served by our dedicated staff or our knowledgeable optometrists, you will receive friendly and caring professional service. We provide the highest levels of optometric service, expertise and clinical knowledge to create a patient-centered approach to your vision care. Our optometrists are highly trained in the diagnosis and treatment of chronic and acute eye diseases and are committed to long-term continuing education. Our opticians have years of experience fitting frames and selecting accompanying lenses to find the right eyewear for you. We are equipped with the latest technology to determine your prescription for optimal vision, assess your vision health, diagnose, treat and even help prevent eye diseases. We are your destination for the latest eyewear trends. We carry both unique and popular frame brands, along with a wide selection of sunglasses in our Sunglass Cove™.